This report focuses on a part of the Marikana massacre, an incident on Thursday 16 August 2012 in which 34 striking mineworkers were killed by members of the South African Police Service. 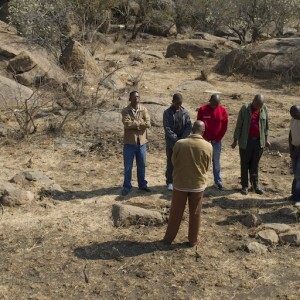 It relies on information made available in the public domain as a result of the Marikana Commission process. The report aims to deepen understanding of the events at Scene 2 and to contribute towards developing an explanation for the killings that took place there. It also builds on previous ISS research on police leadership and the Marikana massacre. David Bruce is an independent researcher on policing, crime and criminal justice. His work focuses on the use of force by police, and police accountability. In 2016 he was appointed to the panel of experts on policing established on the recommendation of the Marikana Commission. He has a Master’s degree in management from the University of the Witwatersrand.